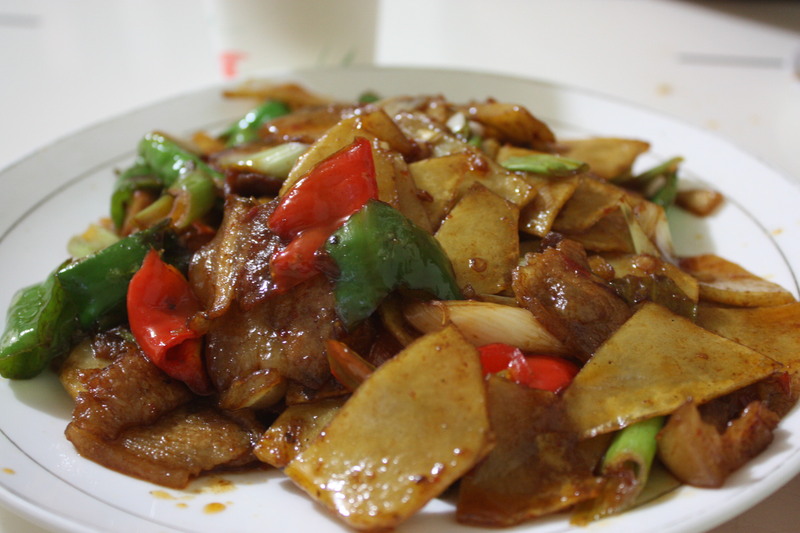 Cheap and cheerful—Chinese food at its best | Where to next? 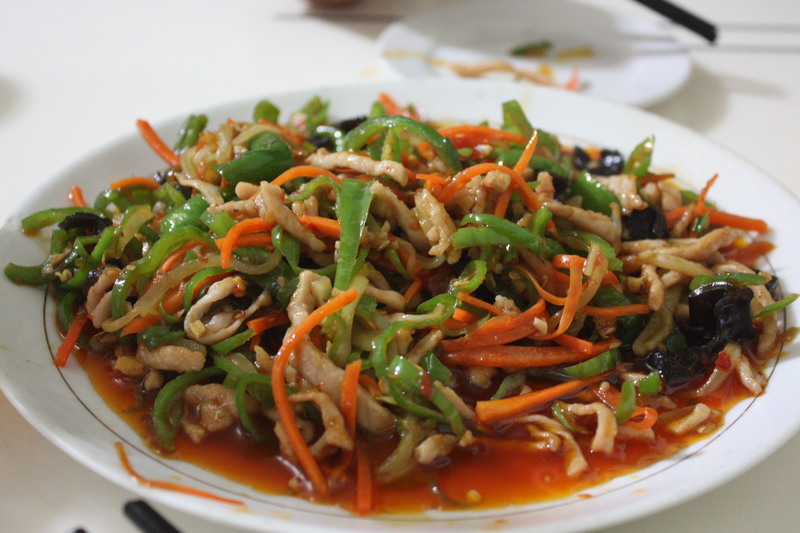 Fish-flavoured pork—no sign of fish and just the right amount of chilli. Every small town in Australia has at least one Chinese restaurant. They’re usually cheap and cheerful, with a predictable menu of sweet and sour whatever, lemon chicken, some meat with black bean sauce or cashews or ginger, fried rice and the like. China is littered with countless cheap and cheerfuls. But unless you’re in a tourist town the menu looks nothing like a typical Aussie one. For starters, it’s all in Chinese. There might be a wall of pictures and sometimes one-line captions that note the ingredients. 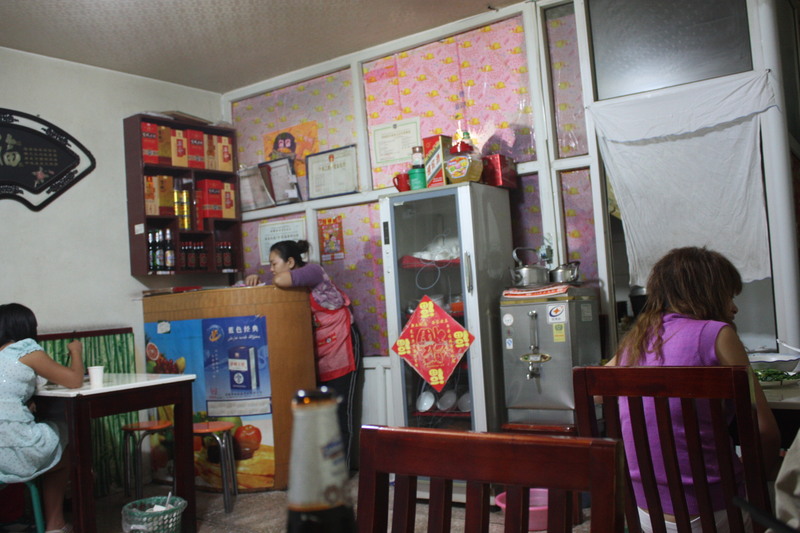 Our second night in Kashgar, in far west China, we went hunting for a hole-in-the wall restaurant. We’d had a bowl of noodles the night before and were looking for something a little more substantial. Side streets are always good places to find cheap and cheerfuls, and not long after turning off a main street we found what we were looking for. It was better than we expected in every way. One of their menus had stuck-on bits of paper that named every dish in English. We ordered fish-flavoured pork and twice-cooked pork with potatoes. Both dishes were sensational and we had the added benefit of watching the chef wield the wok. I couldn’t get a pic of the flames shooting up around the wok, but they were big enough to set the unwary’s hair on fire. I can no longer remember exactly how much the bill was, but certainly no more than $5 for the two meals with rice, a beer and a soft drink. Food has been an important part of our trip and I going to start posting more entries on memorable meals and other tales of food. A busy hole-in-the-wall. The appliance that looks like a fridge is where they store the clean dishes. The shelf in the corner is where they keep the beer. Yep, the beer is served warm. Not your typical truck stop « Where to next?